This chapter gives you helpful advice on how your charter school should handle governance, policy, and major decisions. It explains the governing body, your school’s board of directors and critical matters of board operation. Ensure that the school adheres to state laws. Make certain that public funding rules are followed. Make decisions consistent with the school’s charter and contract. These important responsibilities occur in official meetings of the charter school board of directors, presumably, conducted with decorum and respect. The statute requires that a majority of the members of the charter school’s board must be licensed teachers employed by the school. The only exception to this requirement is that an initial board for the school may be comprised differently as described in the approved charter school application. The Commissioner for the Minnesota Department of Education may also permit a waiver of the majority teacher membership rule upon application with an appropriate rationale. (Minn Statutes 124D.10, subd 4c) Beyond having a majority of teachers, the statute is silent on the membership for the remainder of the board. Most schools have assumed this would be some combination of parents of students in the school, other community members, and in some cases, students. A new charter school will have an interim board that makes many decisions even before school staffers are employed. Select your initial or interim board carefully. The start up phase of a charter school requires wise and experienced judgment by the interim board during the busy formative years. A new school faces many decisions about implementation of the charter, for example: decisions about personnel, policy formation, budget preparation, accounting, audits, curriculum, facilities, contracts, and student enrollment. Look for people with experience in several of the following areas: previous charter school involvement, service on other decision making boards, school administration, finance, law and human resources. Also look for people with good connections in the community. The initial board for the school is limited to three years with elected school board having been formed before the end of the third year of the charter school’s life. The charter school statute says school staff and parents may vote on the selection of candidates for the school board [Minn. Statutes 124D.10, subd 4 (c)]. Most schools hold a meeting for the election of school board members or send a paper ballot with a brief description of each of the candidates. Your school should have a set of bylaws (see references at the end of this chapter for samples) spelling out board composition, terms of office, board officers, voting procedures and other matters. There must be a clear understanding about the role of a school board member and the commitment it requires. Members must attend meetings regularly and promptly. They must make decisions for the good of the school rather than any member’s personal benefit. 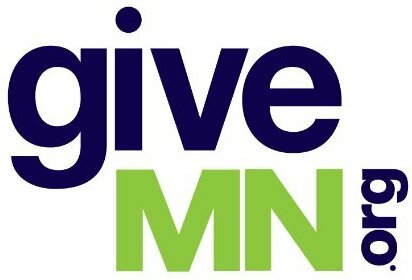 They must avoid a conflict of interest [Minn. Statutes. 124D.10, subd 4a (a-e)]. If a conflict of interest arises, a member or members should excuse themselves from discussion and voting on that issue. It will be helpful to people considering service on the board of directors to be aware of the kinds of experience and skills from which a board would benefit. These include: courage of conviction, dedication to the mission, patience, leadership, and reliability. A board benefits also from persons with financial, personnel and legal experience. Ensure the school’s operations are congruent with the charter school application that was approved by the sponsor and the State of Minnesota. Ensure the school’s operation meets the terms of the contract between the school and its sponsor. These require, from the outset, that board members are familiar with the charter school application and the contract. These documents, along with the Articles of Incorporation, Bylaws and Minutes of past meetings, should be in your board binder at all times. Arranging for an appropriate facility. Approval of the school’s budget. Monitoring the school’s revenues and expenditures on a regular basis. Interviewing and hiring the administrator. Formal vote of approval on staff employment. Monitoring performance of the director and assuring evaluation of other staff. Approving contracts for goods and services. Monitoring the progress of the school’s program. These responsibilities require knowledge of the issues, careful consideration and the application of reasoned judgment. Some issues may require legal advice. A school board member must work to stay current in these areas by periodically attending training and conferences through such organizations as the Minnesota Association of Charter Schools, the Center for School Change, the Minnesota School Boards Association, and the Minnesota Department of Education. The work of a school board is carried out at its officially called and publicly announced meetings. In Minnesota, school board meetings are open meetings by law, meaning they are public meetings open for anyone to observe. The only exceptions allowed to the open meetings law have to do with labor negotiations, legal challenges, and certain data privacy issues. However, the decisions on these activities must be reported in summary form at the next open meeting. Meeting dates and times must be publicized so that interested parties may attend. Some ways to publicize meetings are: print the schedule for the year in the school newsletter, provide a web site with board meetings times and places, post a notice on the school’s bulletin board, send a notice home with students, and mention board meetings at other parent meetings such as open houses and conferences. Sometimes, local newspapers will carry news of board meetings times and decisions. Meetings must be organized and orderly. An agenda should be published for what items will be addressed at the meeting. The presiding officer must be fair and courteous. A written record of meetings, or minutes, must be maintained and open for inspection by anyone. The record of the minutes is always checked for accuracy at a subsequent meeting of the Board and, when approved, becomes the official record of board actions. Minutes should include the time and date of the meeting, who was present, and actions taken by the board. Some boards allow a place on the agenda for comments from the public and for presentations. To ensure each school board member is treated fairly, certain rules need to be followed–otherwise known as parliamentary procedure. Parliamentary procedure ensures that only one item at a time is addressed, everyone has an opportunity to speak on the issue, members know what they are voting for, and a decision is reached and announced. Do not make parliamentary procedure complicated. The rudiments of parliamentary procedure can be learned in a short training session and mostly through experience until it becomes second nature. Member is recognized by the chair. No one else wishes to speak. The chair has asked, “Is there any further discussion?” three times and no one responds. A formal vote to end debate or “move the previous question” passes with a 2/3 majority. The school board makes rules about how a school is to be operated. The rules are known as policies. Federal and state law mandates some policies. These include policies on non-discrimination, harassment, hazing, discipline, violence, drugs, and weapons. Other policies may have to do with: adopting handbooks, employment and personnel, enrollment, due process, health, and safety. Your administrator should suggest wording for policies. A proposed policy should be publicly announced so that others may comment with suggested changes before final adoption. The Minnesota School Boards Association has model policies for member schools on a huge range of topics that are well written and legally researched. Membership in the MSBA should be considered for that service and others including reduced cost for insurance coverage. Enjoy your important role as a charter school board member. It may seem that there is a lot to learn, which is true, but most of it will become understandable in time. You will be guiding the direction of a most significant venture, that of the schooling of a community’s children. For an overview of parliamentary procedure or Robert’s Rules of Order, see:cyberbuzz.gatech.edu/apo/robert.html or constitution.org/rror/rror–00.htm. For a complete training manual, see: Charter Starters: Leadership Training Workbook on Governance and Management at: nwrel.org/comm/catalog/detail.asp?RID=12658. A good resource guide is: Creating Effective Governing Boards atuscharterschools.org/gb/governance/.